चूँकि BPSC की प्रारंभिक परीक्षा में कुछ दिन ही शेष रह गए हैं इसे देखते हुए THECOREIAS ने 21 दिन की रणनीति तैयार की है, जिसका अनुसरण करने पर निश्चित ही सफलता प्राप्त होगी. – इस रणनीति के अनुसार हमनें BPSC की प्रारम्भिक परीक्षा के सिलेबस और पिछले वर्षों में पूंछे गए प्रश्न पत्रों के आधार पर सभी खण्डों के महत्वपूर्ण टॉपिक्स को 21 दिन की स्टडी प्लानिंग के माध्यम से बांटा हैं. – आपको प्रतिदिन का प्लानिंग चार्ट उपलब्ध कराया जायेगा, जिसमे उस दिन पढ़े जाने वाले टॉपिक्स का विवरण होगा. – यह अनिवार्य शर्त है कि प्रतिदिन के टॉपिक्स उसी दिन पढ़कर ख़त्म किये जाएँ, ताकि दूसरे दिन की रणनीतिक योजना प्रभावित न हो. – प्रतिदिन साझा किये जाने वाले टॉपिक्स से सम्बद्ध प्रश्नों और अभ्यास प्रश्न पत्रों को सोल्व जरुर करें. – किसी भी परीक्षा में सफलता के लिए आत्म- विश्वास अति आवश्यक तत्व माना गया है. और आत्मविश्वास मुकम्मल तैयारी से ही आता है. हम आशान्वित हैं कि GSHindi अपने प्रयासों के माध्यम से आपकी सफलता में अवश्य सहभागी बनेगा. – प्रारंभिक परीक्षा के पिछले सालों के प्रश्न पत्रों का विश्लेषण करते हैं तो पाते हैं, कि अधिकतर प्रश्न साइंस (Science) और टेक्नोलॉजी, कर्रेंट अफेयर्स , हिस्ट्री और संविधान से आये हुए हैं. – साइंस (Science) खंड में अधिकतर प्रश्न जीवविज्ञान से पूंछे जाते हैं और साथ ही सामान्य विज्ञान की अवधारणायें शामिल हैं. – निरंतर बदलते राष्ट्रीय एवं अंतरराष्ट्रीय परिदृश्य में समसामयिक मुद्दों के महत्व को देखते हुए कर्रेंट अफेयर्स पर अधिक ध्यान देने की आवश्यकता है. इसके लिए आप www.gshindi.com की मासिक पत्रिका को पढ़ सकते हैं. – इसके साथ ही राष्ट्रीय-अंतरराष्ट्रीय खबरों के साथ-साथ बिहार से जुड़ी खबरों पर खास ध्यान देना चाहिए। बिहार सरकार द्वारा चलाई जा रही सामाजिक-आर्थिक योजनाओं की जानकारी रखें. – हिस्ट्री खंड को भी विशेष रूप से पढ़ा जाना आवश्यक है. – पर्यावरण से जुड़े प्रश्नों की संख्या भी लगातार बढ़ रही है. The 60th to 64th Joint Combined Contest Preliminary Examination (PT) by Bihar Public Service Commission BPSC is scheduled to be held on February 12. I.e. BPSC Preliminary Examination has remained a few days now. In this context, in order to succeed in the BPSC Prelims Examination,The CORE IAS is introducing a 21-day full-proof strategy to the people. Before presenting the strategy, knowing about the patterns and questions of the BPSC Prelims examination will be necessary and beneficial. In the preliminary examination of the BPSC, the questions of multiple choice nature come and the nature of this examination is only qualifying (i.e. QUALIFYING) i.e. the marks earned by you in this examination will not be counted for the merit list. The total number of questions in the preliminary examination will be 150 and for each question, 1 point has been fixed i.e. the preliminary examination will be of 150 marks. The duration of examination is fixed at 120 minutes. While analyzing the question papers of the previous years of the preliminary examination, we find that most of the questions come from science and technology, current affairs, history and constitution. In addition to this national-international news should be given proper due and special attention to the news related to Bihar. Keep an eye on the socio-economic schemes being run by the Bihar government. The history section also needs to be read in particular. – The number of questions related to the environment is also increasing constantly. – There are some questions to examine the mental abilities in this examination which are scoring a lot and students should focus on it. Apart from this, the BPSC exam is most important for answering the questions of mathematics. Keep in mind that the questions of mathematics in BPSC Preliminary Examination are some of the difficulties that cause great difficulty for the students. However, here you can also ignore those questions, if your hold is good on other subjects. 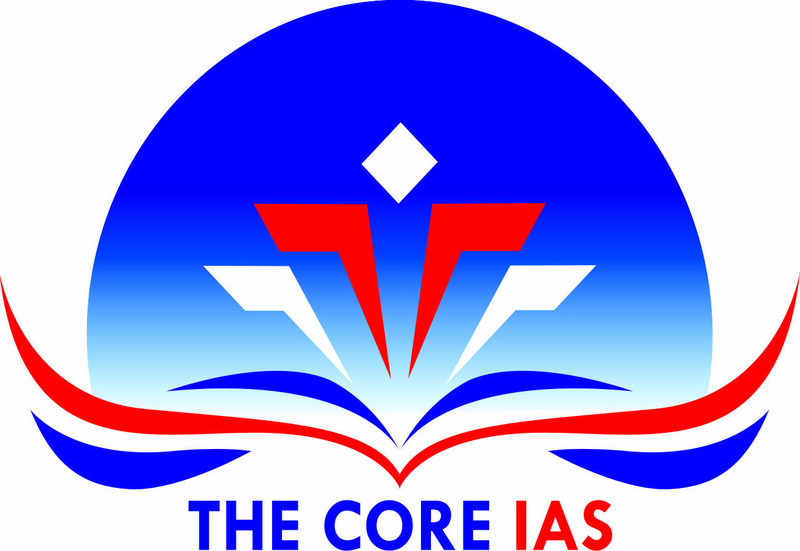 The CORE IAS has prepared a 21-day strategy considering the lack of time ,that will for sure hold you in good state if followed religiously . – According to this strategy, we have divided the important topics of all sections on the timeline of 21 days of study planning based on the preliminary examination of the BPSC and the question papers based on previous years.- You will get a daily planning chart, which will include the details of the topics you read on that day.- It is a compulsory condition that the topics of everyday should be read by the same day, so that the second day’s strategic plan is not affected.- Make sure to solve questions and practice question papers related to topics shared daily.- Self-confidence is considered to be a very essential element for success in any exam. And self confidence comes from a complete preparation.We are hopeful that The CORE IAS will surely become a part of your success through your efforts. – For your knowledge, under the BPSC examination, the Bihar PCS examination is divided into two parts – the first is Preliminary examination and the second is Mains exam. Only those candidates who will be successful in the examination of these two levels will be called for an interview round. All these levels will be selected based on the performance of the candidates, i.e., at every level you will have to demonstrate your best performance. – The Preliminary examination of the BPSC will be the questions of the Objective type and the nature of this examination will be qualifying only so the marks earned by you in this examination will not be added to the merit list. – The total number of questions will be 150 and for every question, 1 mark has been fixed, ie the Preliminary examination will be of 150 marks. The exam period is of 120 minutes . For the written examination, there will be a total of 4 papers in the BPSC Main Examination. The main exam will be a total of 900 points. In Hindi paper, it is mandatory for candidates to get at least 30 marks, which are just qualifying marks. Note: No marks will be given for Hindi. All those candidates who successfully pass the Mains examination will be called for the final phase i.e. the interview.=> Interview- Successful in the Preliminary examination and successful candidates in main examination will be invited for interview round. 120 points have been set for the interview. The candidate who receives marks required in both the exams i.e. the Preliminary and main examination and the minimum qualifying marks in the interview, will be selected for the desired posts. 27 November Geography of Bihar Geological structure of Bihar, Physical division, Soils of Bihar and their problems, Rivers and multi purpose projects, Flood and draughts, Flood and disaster management, GIS, earthquake, बिहार के भूवैज्ञानिक संरचना, भौतिक विभाजन, बिहार की मिट्टी और उनकी समस्याओं, नदियों और बहु प्रयोजन परियोजनाओं, बाढ़ और सुखा , बाढ़ और आपदा प्रबंधन, जीआईएस, भूकंप. 3 December Important Schemes Related to Bihar specifically, women empowerment, Language, universities, research institution, health,natural resources, environment, conservation.